This Summer’s featured ingredient is the Red Raspberry. In early Medieval Europe, raspberries were mainly eaten by royalty. 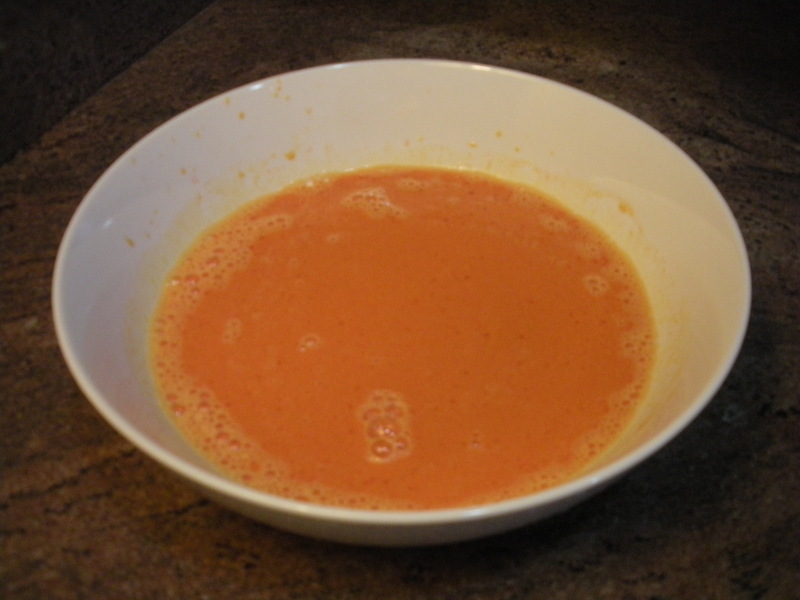 Their juices were used in paintings and manuscripts. All parts of the plant were used in medicines and topical treatments to treat such ailments as diarrhea and menstrual cramps. King Edward (1272-1307) is recognized as the first person to call for their general cultivation, and by the 1700s raspberries could be found growing in gardens throughout Europe. 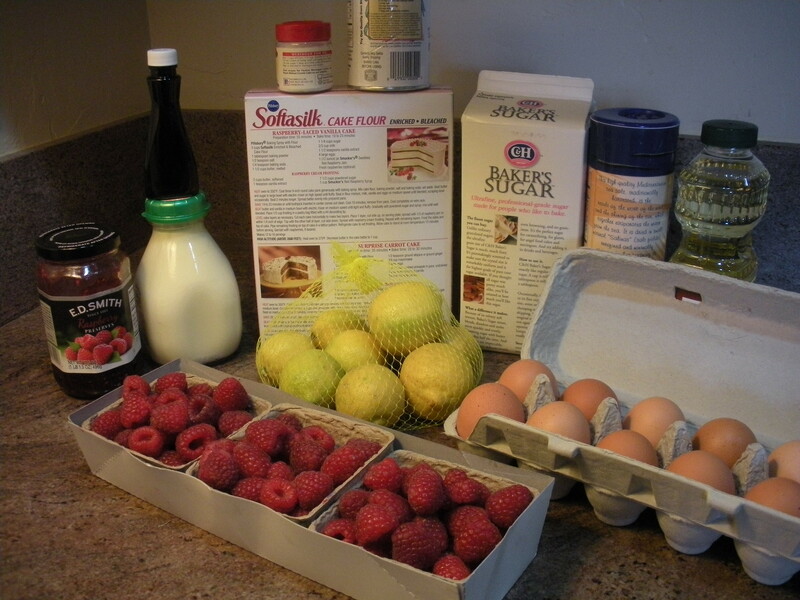 Raspberries are typically in season from June to October, depending on the region. Often local farms will offer a seasonal You-Pick berry patch one can visit with information online. In rural areas, there can be wild berry patches where one can forage. When first visiting a wild berry patch, go with an experienced berry picker who can positively identify the raspberries. While there has never been a clustered drupe berry (i.e. raspberry, blackberry, boysenberry) identified as poisonous, there are many berries that are poisonous! Never eat a berry that has not been identified as edible. Red raspberries are a rich source of manganese, vitamin C, fiber and numerous bioactive compounds that research indicates may have antioxidant, cardio-protective, neuro-protective, and anti-cancer effects. 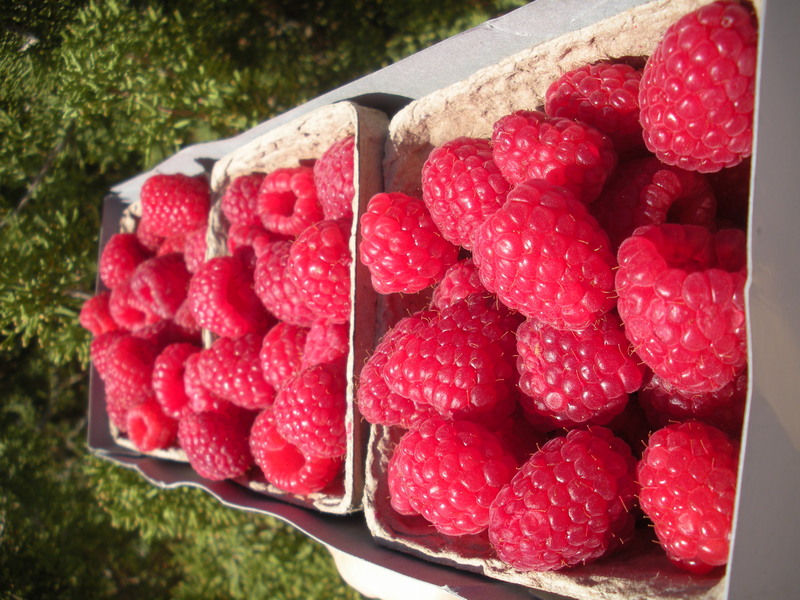 Raspberries also contain B vitamins, vitamin K, potassium, calcium, iron and magnesium. 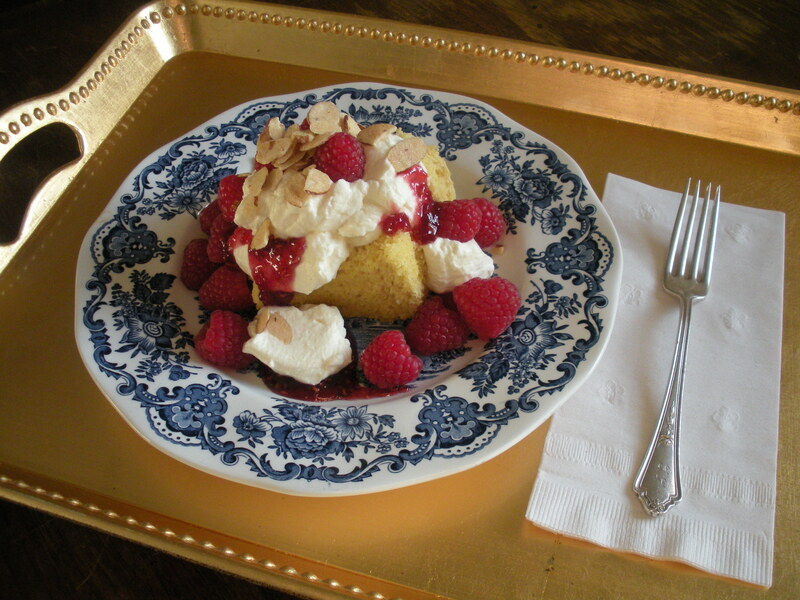 This Summer’s Recipe is for Raspberry Chiffon Cake. With the richness of pound cake and the lightness of an angel food cake, chiffon cake is the best of both worlds. Celebrate National Raspberry Cake Day this July 31st with our light raspberry chiffon cake, covered with a mountain of fresh raspberries, topped with raspberry preserve glaze, toasted almonds, and a generous dollop of whipped cream. It’s the perfect fresh summer dessert. 1. Position oven rack in lower middle of oven. Preheat oven to 325F. 2. 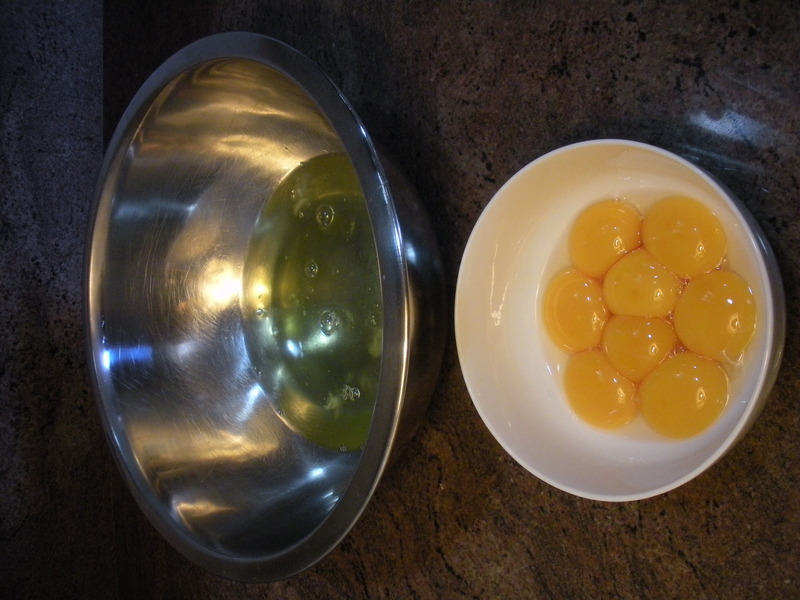 Separate cold eggs, placing whites in a large very clean bowl, and yolks into a medium bowl. 3. 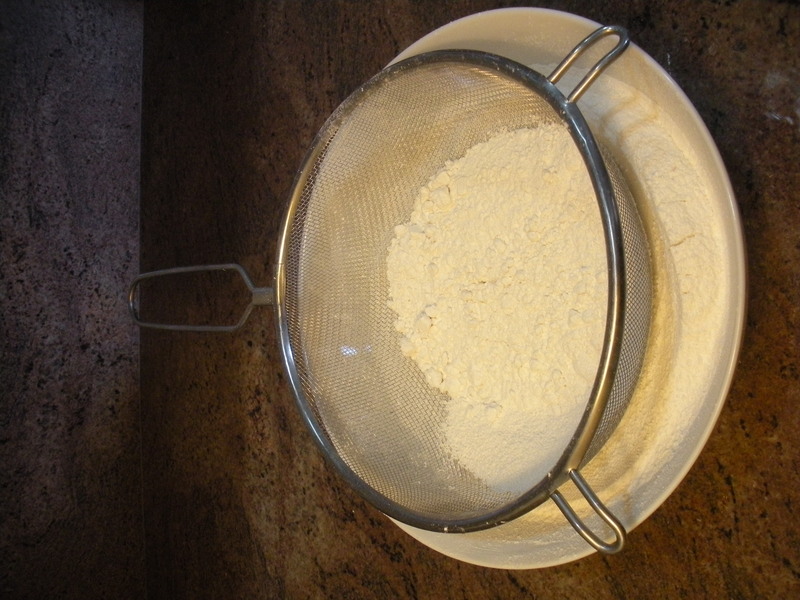 Sift together flour, sugar, baking powder and salt through fine mesh strainer into the other large bowl. 4. 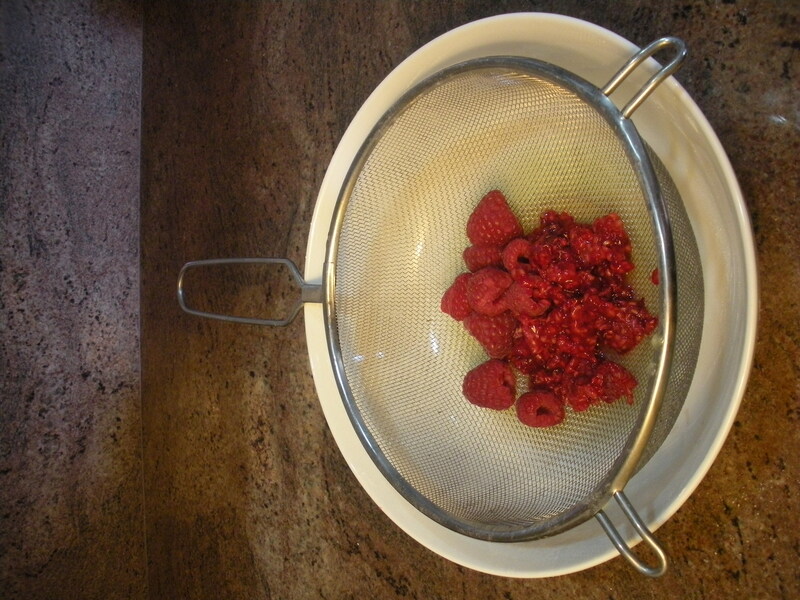 Place strainer into the second medium bowl, and juice raspberries by squeezing raspberries in hands to extract juice. 5. 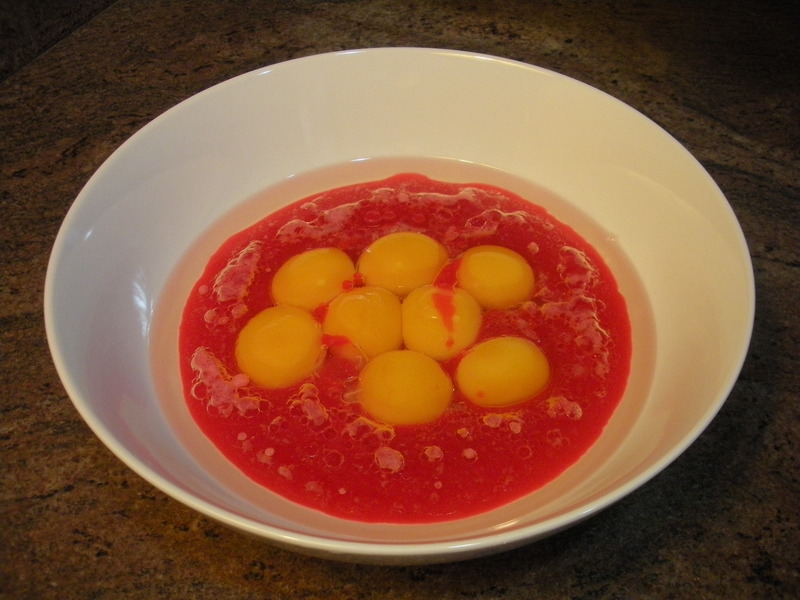 Add raspberry juice and oil to yolks, and whisk until smooth. 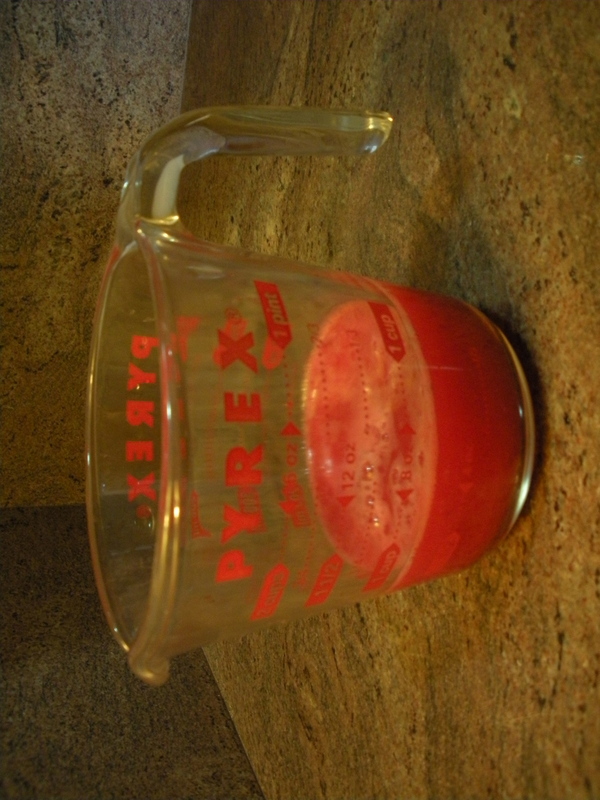 Add optional red food coloring if desired for a pink-red cake. 6. 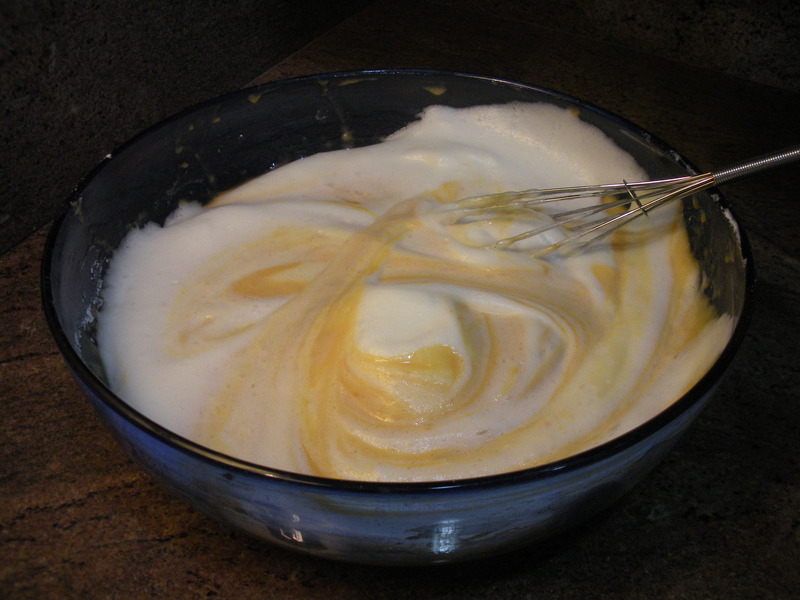 Whisk together flour mixture and egg yolk mixture. 7. Add cream of tartar to egg whites. 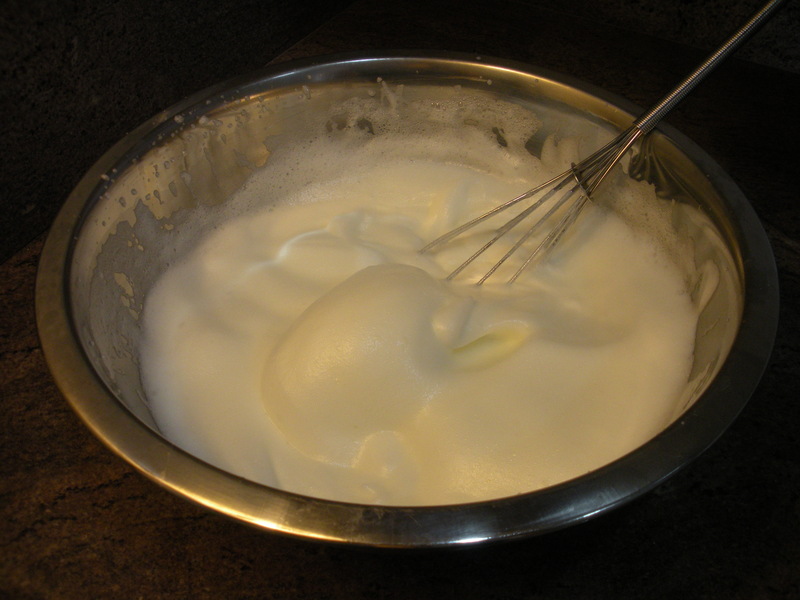 With the second very clean whisk, whip to soft peaks. 8. 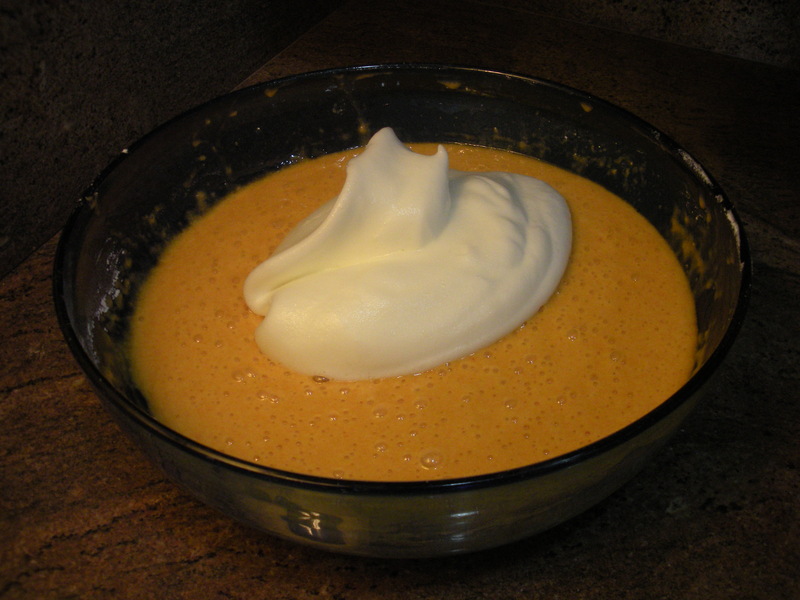 Whisk 1/3 of whites into batter. 9. 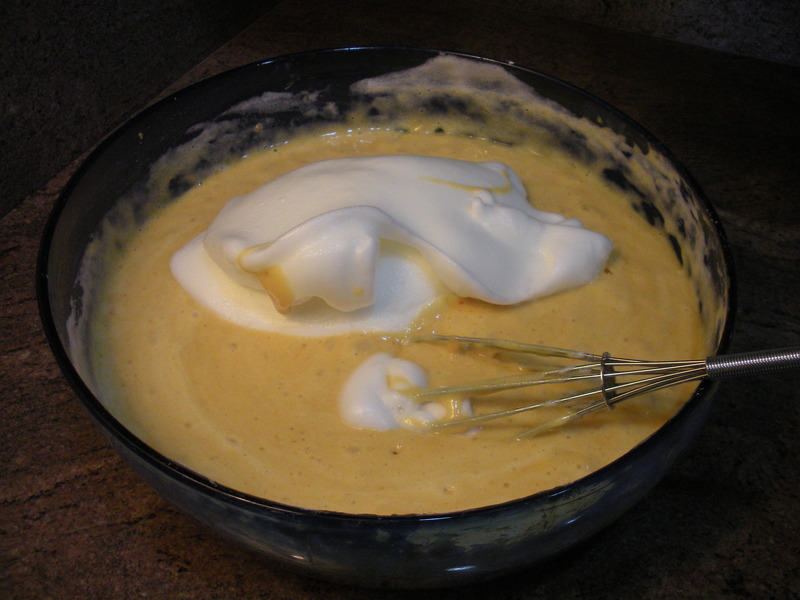 Gently fold remaining whites into batter with rubber spatula until well combined. 10. 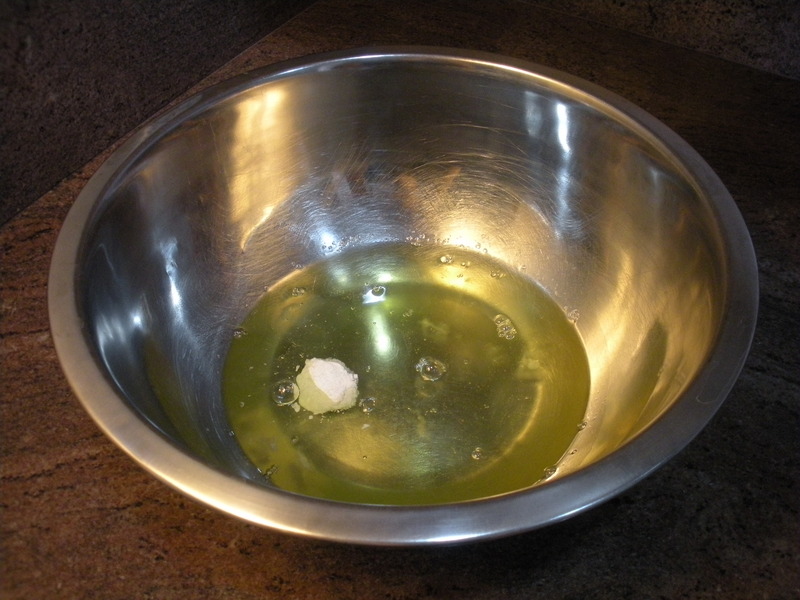 Gently fill 10″ ungreased tube pan with batter. 11. Bake 60-80 minutes until springs back to light touch, top cracks and appears dry. 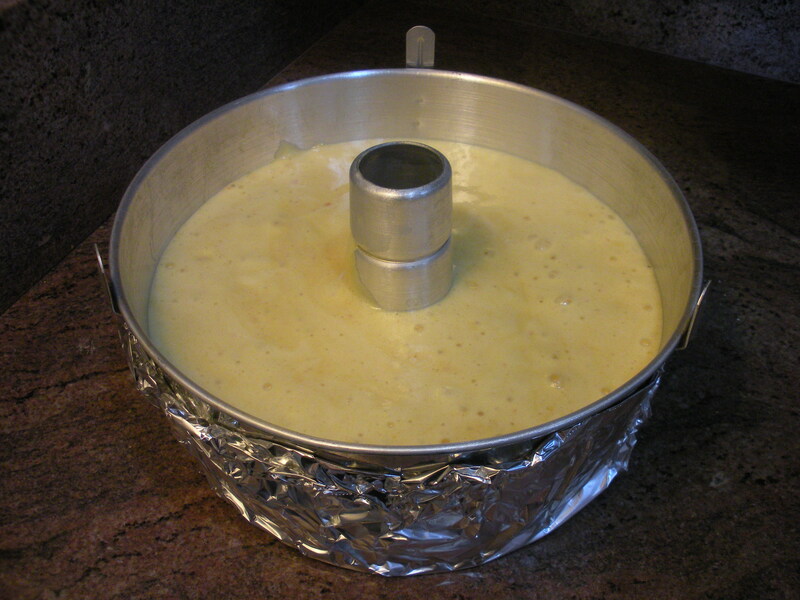 Unlike most cakes, it is better to over bake slightly than under bake slightly to ensure the cake is adhered to the sides of the cake mold, and will survive inversion. 12. Immediately invert pan on clean counter, and cool completely, ~2 hours. 13. To unmold cake, turn pan right side up, and run knife around outer and inner edges. 14. Grasp inner tube and pull cake out of pan onto counter. Cut bottom free. 15. Invert cake onto serving plate. Gently twist tube to remove. 16. Cut slices of cake and place on individual plates or bowls. 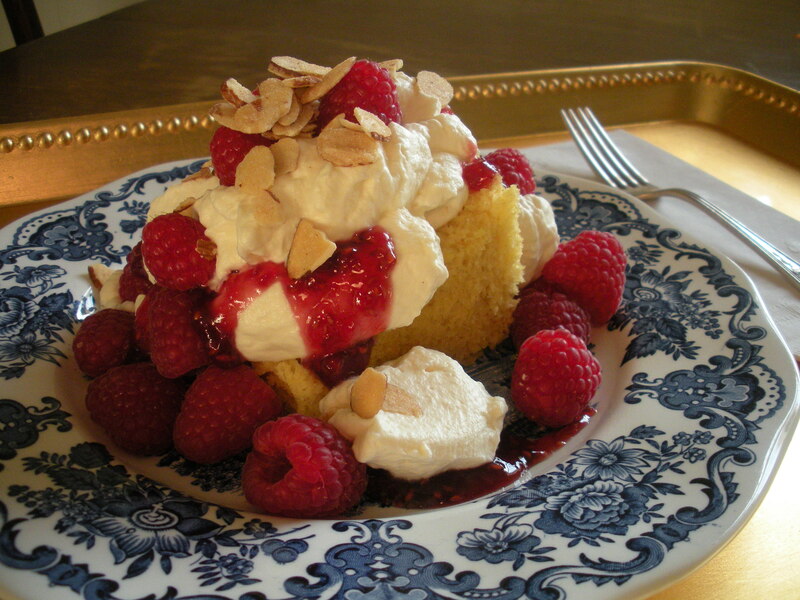 Top with whipped cream, raspberries, raspberry glaze, and toasted sliced almonds. Am I correct in assuming that the flour mix should be mixed into the yolk mixture, then the meringue folded into that? Your directions don’t actually say. Yes. First whisk together the flour and yolk mixtures. Then fold in the meringue. Thank you for asking!